Feedback is something that will always be around and will always be essential in one’s day to day life. Providing proper feedback will allow a person to hand over information to another that’s based on how the receiver of the feedback is currently performing and if he or she is reaching certain goals. This is one of the main reasons why many different companies have their managers and supervisors understand that knowing how to give efficient feedback will be the key to their success. With the information that feedback provides, one can point out certain problems that need to be fixed or things that need to be improved in order to meet expectations and achieve goals. 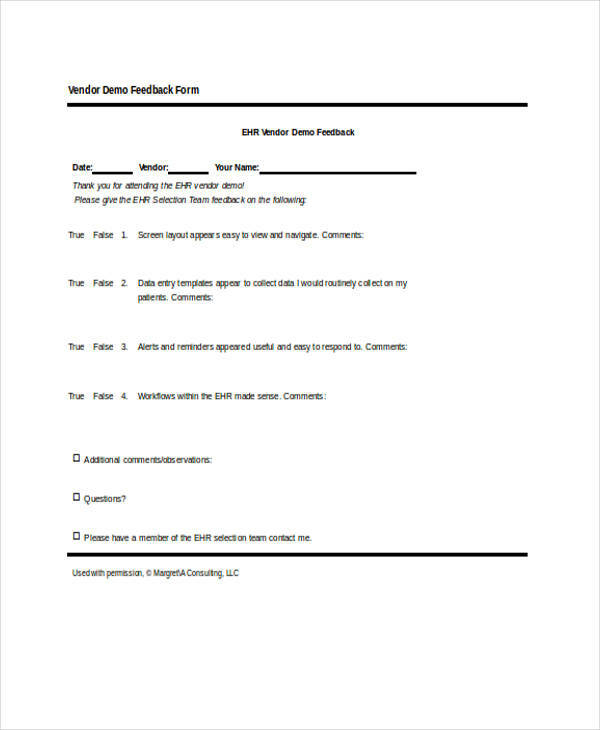 What are Demo Feedback Forms? 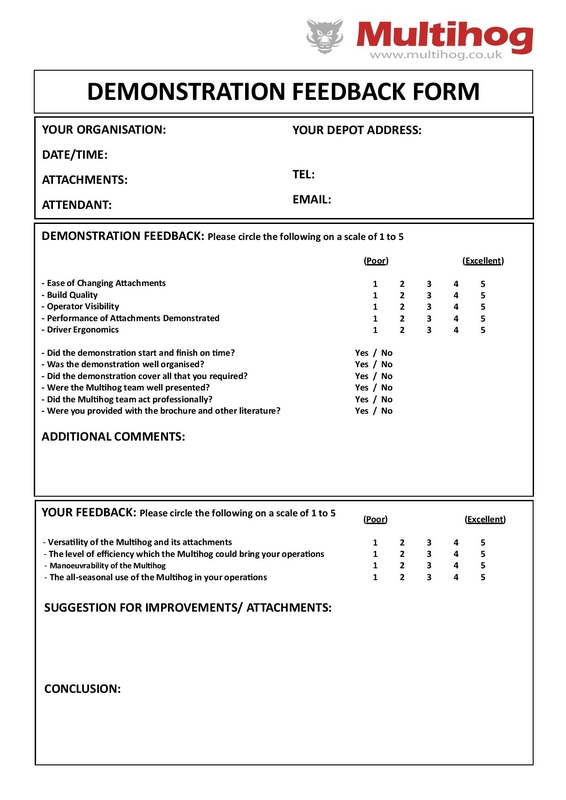 Demo or demonstration feedback forms are what many companies hand out to audiences of certain demonstrations. A demonstration can be used to introduce new products or services that should appeal to the masses in the hopes of getting them to purchase whatever is being shown. It could also be used to introduce new methods or systems that could provide information that may benefit certain people. 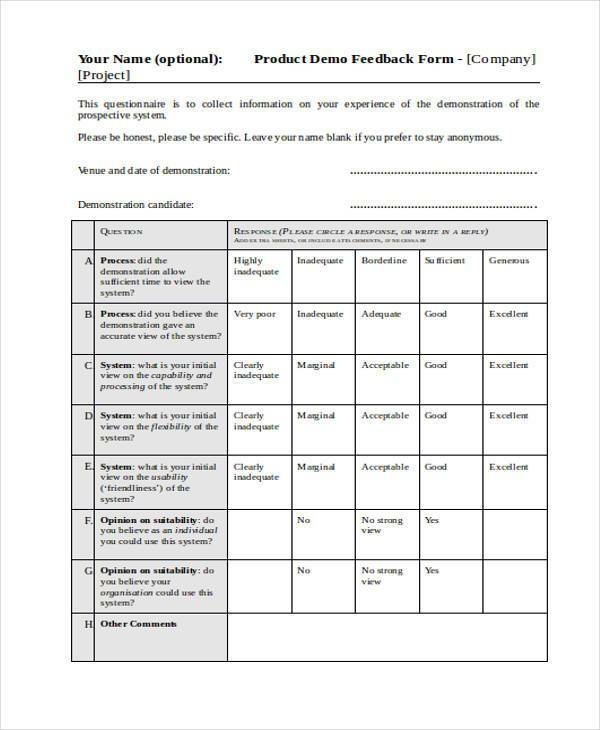 With these forms, those who have witnessed whatever product or service being demonstrated may then use these forms to point out what parts of the demonstration they liked, and the parts that they found unsatisfactory. It could also be used to introduce new methods or systems that could provide information that may benefit certain people. 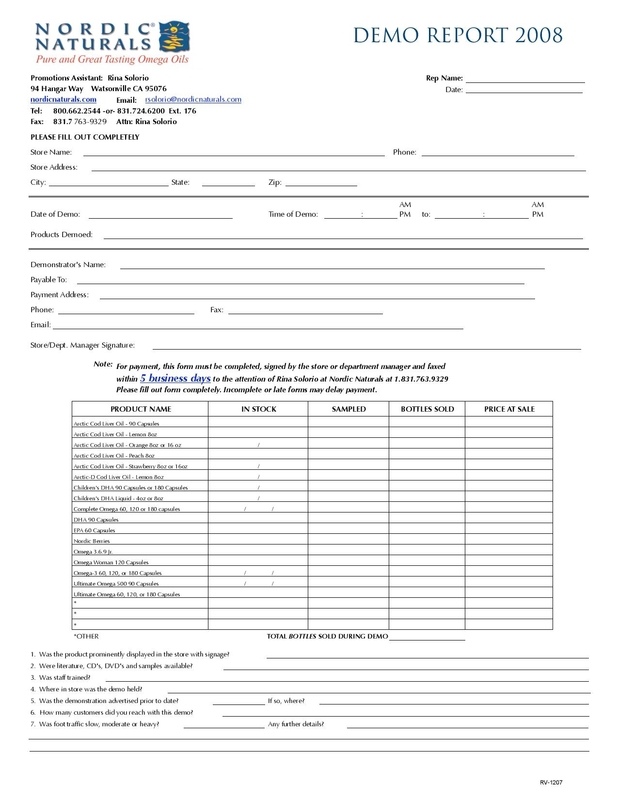 With these forms, those who have witnessed whatever product or service being demonstrated may then use these forms to point out what parts of the demonstration they liked, and the parts that they found unsatisfactory. With a great product demonstration, you can make customers conduct a product evaluation that will tell them that their lives would be so much better if they bought the product you were demonstrating rather than if they didn’t. 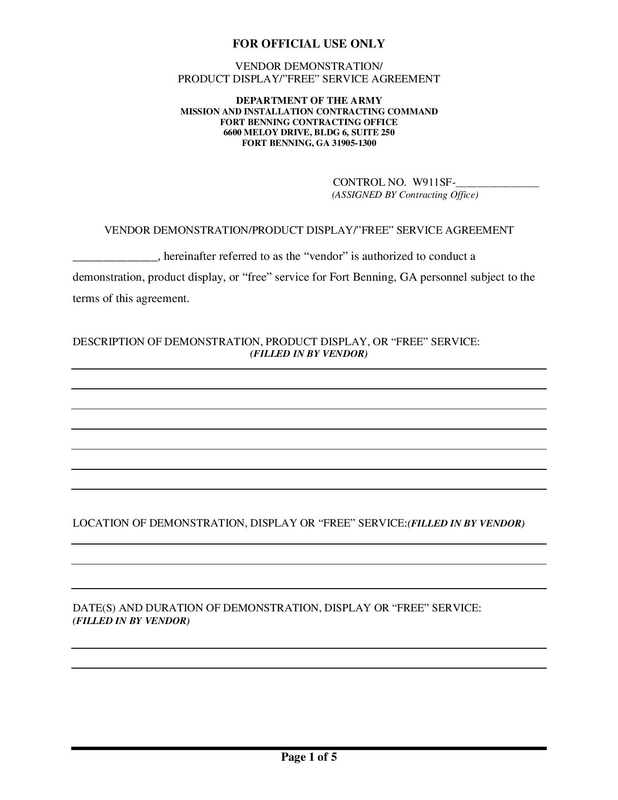 Make use of these rules to ensure that your product demos move sales upward. You’ll need to properly customize your demo. All customers are different, so you’ll need to create a demo that will match to the uniqueness of the customer that will view your demo. So before you do a product demonstration, you will need to do research on information such as annual reports, conference proceedings, press releases and anything else that will help you understand the context of the demo. And gather as much information on the people that will be viewing your demo and change the data accordingly. You must remember that a product demonstration is should never be just a tour about the product’s features and functions. The point of the demonstration is to point out the scenarios your customers go through in their day to day lives and have the product you demonstration play a key role on how it can make things easier for them. Keep rehearsing until you’re sure you know everything you want to say to potential buyers. 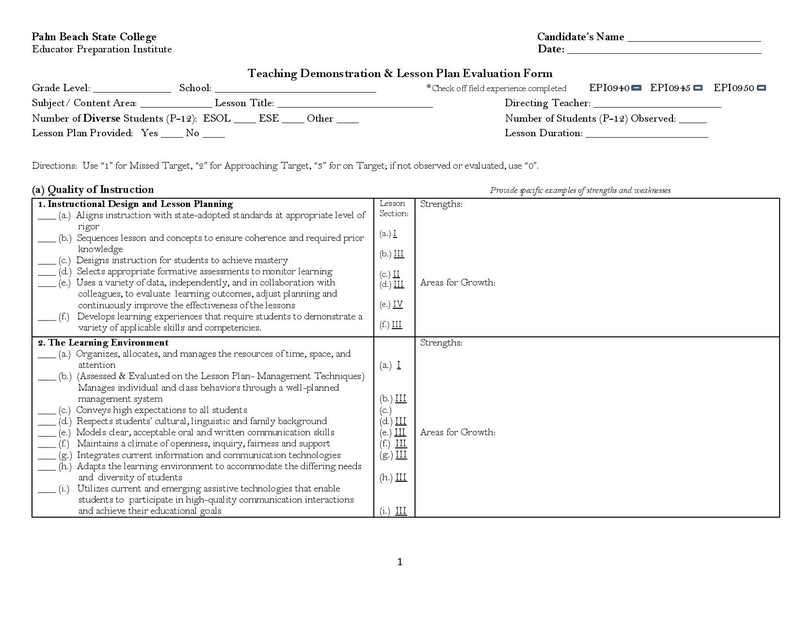 Demos are much more difficult than presentations. In a presentation, all you have to do is point out what a product does and how useful it should be, and the customers will give feedback as to whether or not the product is good. With a demo, you’re not just pointing out the product, but you’re also focusing on the customer, the effect of the demo on the customer, and the mechanics of the demonstration. So remember that you’ll need to rehearse to ensure that you don’t forget anything and that these people would want to buy whatever product you’re demonstrating. With a demo, you’re not just pointing out the product, but you’re also focusing on the customer, the effect of the demo on the customer, and the mechanics of the demonstration. So remember that you’ll need to rehearse to ensure that you don’t forget anything and that these people would want to buy whatever product you’re demonstrating. 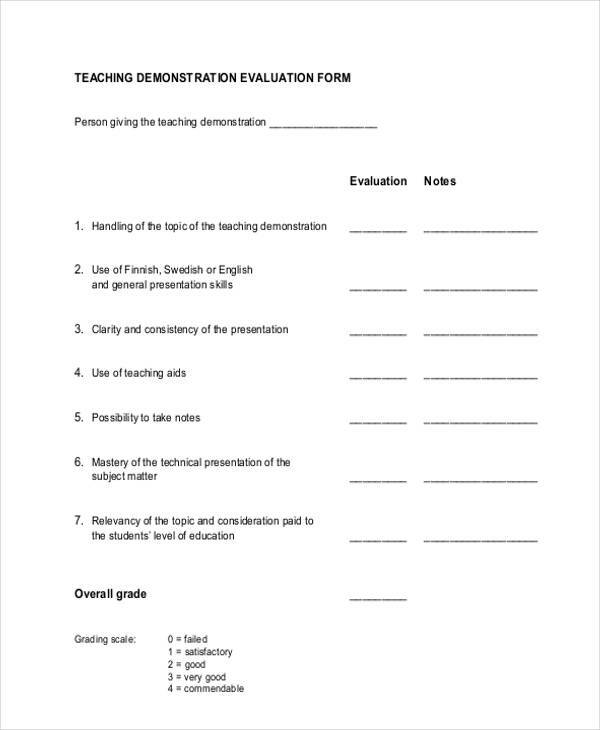 Test everything out before you do the actual demonstration. It’s always best to do a dry run of your product at the very location that you’re going to demonstrate it. You cannot just assume that everything will go well, so it’s best to be prepared ahead of time. You must never think that the equipment available on the site will just work when you need it to. So it’s best to have a backup plan that will help you should anything go wrong. Once you’re finished demonstrating the product, you’ll need to close the deal. If you’ve done a successful demo, then there is no better time than to close a sale such as by meeting with the decision maker. So when you’re doing the demonstration, you’re going to have to ask something that will move the sale forward. If you don’t do this then it will just show that your product was never worth buying in the first place. Ask your audience as to what they would like to see. If you’re going to demonstrate anything, then it’s not just going to be a one-way thing. You can have your audience be involved by asking them what they’re interested in. This way, you’ll get them much more interested and you’ll be able to gain more customer information regarding what they want. If these customers come back with a sort of generic response, then it’ll be your job to figure out just what kind of problems they are currently experiencing. This means that if they have no idea as to what they want or want they want to see, what complaints they have as employees, or what they think would be the ideal system that they should be working with. 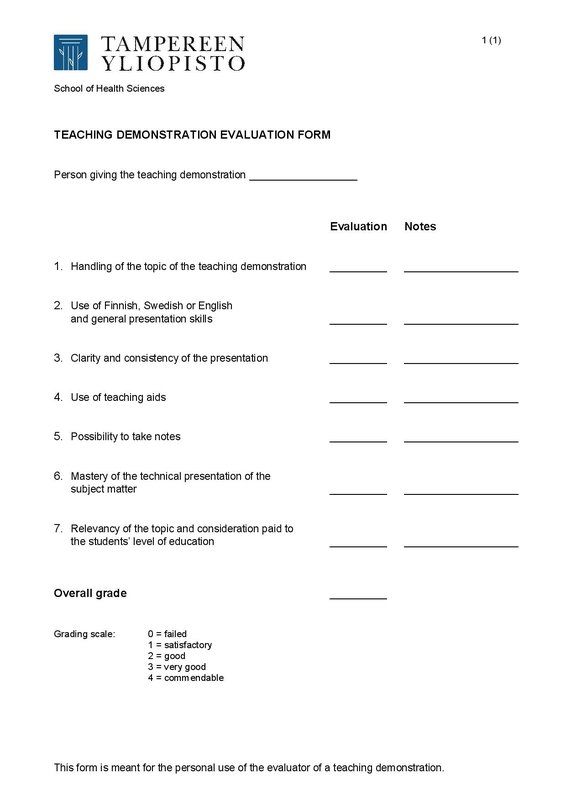 With this, you’re able to gather more information regarding they would like which help you adjust as to how you’re going to go about with your demonstration. Do not just show them how your product, technology, or even system works. These people won’t be interested in how these things are going to function. Although yes how it functions is important, but it won’t be the first thing that your prospective customers are going to look for first. What they’re going to be after is whether or not whatever’s being demonstrated has the ability to make their lives easier. So you’re going to have to point out scenarios and make use of whatever information you can to ensure that these people see just how much they’ll need your product. It’s always best to keep your demonstration as short and simple as possible. When one release’s information about the products that he or she is demonstrating to a particular audience, that person could be tempted to just show everything in the hopes that someone would be willing to buy whatever is being showcased. This kind of approach is ill-advisable as it could just bore your audience and it rarely ever works. The best kind of demonstrations are ones that are short straight to the point. Just be sure to not go too quick about your demonstration as your prospective customers might just miss out on crucial information. Sit in a location where the audience can see you and not behind whatever you’re trying to sell to your customers. Whatever product or technology you’re giving a demonstration of will already be clear enough with the massive screen it’s being displayed in, so it’s best that you stay front and center where you can show the audience how the product or technology can help solve their problems. Just make sure that you can be seen so that the audience can see your body language. That way they’ll be able to determine your level of interest when it comes to whatever you’re demonstrating. Assume that you have understood the complaints of these customers about whatever problems they’re experiencing at work or at home. So the best thing that you can do is to show just how your product or technology is going to solve these problems. This will give your audience more reason to buy and it will help them see the value of whatever you’re showing them. This could be the solution that you will need in order to close the sale. Grab the attention of your customers as soon as you can by proving your best bit first. If you’re going to do a slow build-up during your demonstration, then most likely you’ll lose the interest of everyone before they’re even able to appreciate what you’re demonstrating is able to help them with. So what you should do is start with the most impressive part of your demo and you can then show the build up to your bit. If you’re going to show a feature, then you’ll need to provide the benefits. You should never just show features alone because customers will have no idea as to how they’re going to benefit from it. So much like providing details in an information form, you’re going to have to include specifics as to why the features are so important and why it can help these customers if they decide to buy it. 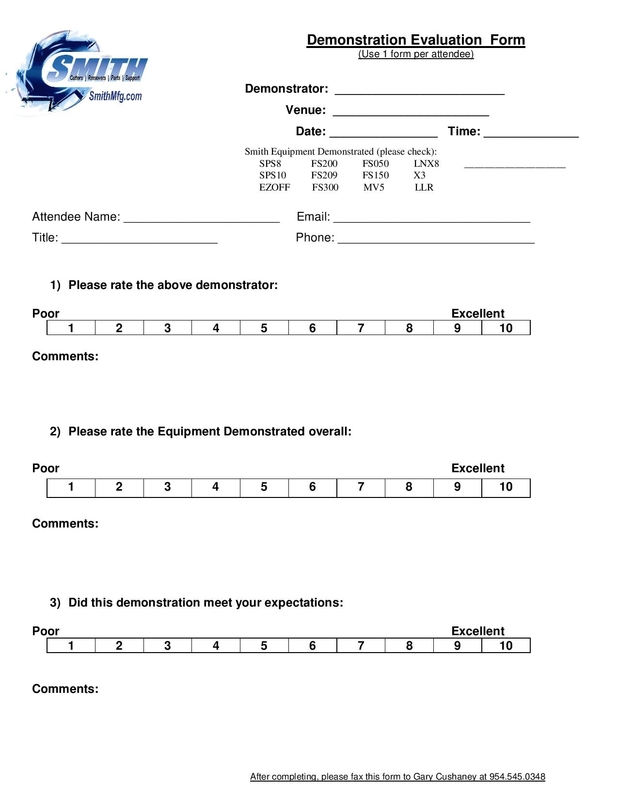 Be sure to remember these tips to ensure that you get the best type of feedback that your demonstration deserves.